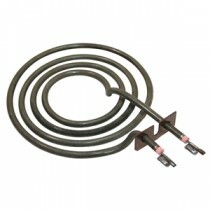 Cooker spares and oven parts - spares include oven elements, hot plates, cooker rings, replacement hobs & seals. Most popular searches: Neff oven spares, Hotpoint oven parts, Belling cooker spares, Bosch oven parts, Leisure cooker spares. Other brand oven / cooker spares include: AEG, Beko, Creda, Stoves, Kenwood, DeLonghi, Tricity, Whirlpool, Indesit, Rangemaster, De Dietrich.